Vintage Cathedral Diamond Engagement Ring with Pave Setting | Shane Co.
Eighteen round pavé-set diamonds, at approximately .13 carat total weight, serve as accents to the center diamond of your choice in this elegant vintage-inspired setting with intricate hand-engraved side detailing. 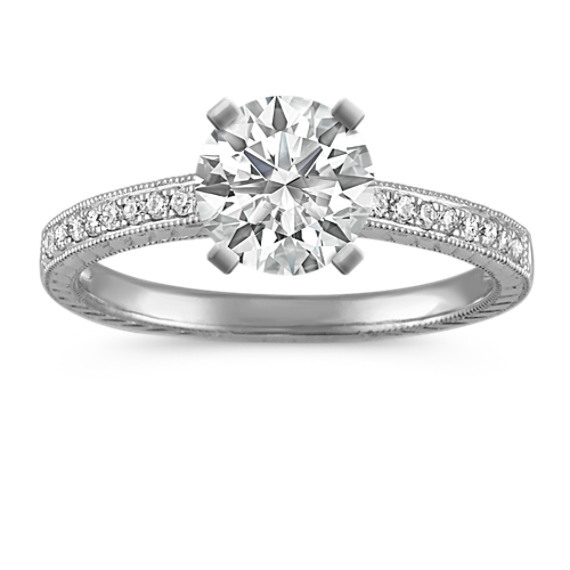 Each stone was hand-selected for exceptional fire and sparkle, and is set in superior quality 14 karat white gold. Gemstone Carat Weight :.13 ct. t.w.